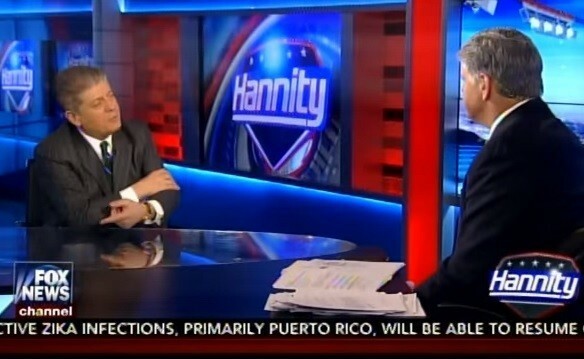 Judge Andrew Napolitano and Sean Hannity discussed the Michelle Fields hoax assault video tonight on Hannity. They both agreed that nothing happened. Hannity said he watched the video 100 times and still didn’t see anything. Does any rational person really believe nudging a person in a crowded room is assault and battery?